Our regular annual events include two open shows, one championship show, two garden parties and working days. All club members and interested parties are welcome to attend all club events and share our experience of our wonderful breed. History, concerns, available tests and looking forward at the future well being of Bernese in Britain. Initiatives YOU can help with are detailed here and everyone with a genuine love for the breed will surely want to help make a better future. Starting Carting: A happy carting dog at work is a joy to behold and a source of much pride and pleasure for its owners. Carting is our breed’s signature activity and a great spectacle to enhance any event. Bernese enjoy carting so why not find out more about how you could join in with the activity. 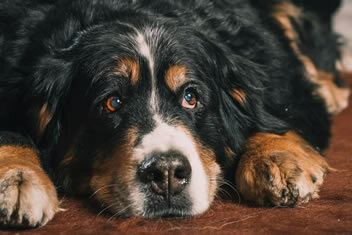 Essential advice and information about finding, choosing, training, living with and caring for a Bernese Mountain Dog. Bernese come into rescue for many reasons but always through no fault of their own, our Rescue Organisation helps to re-home Bernese in need. 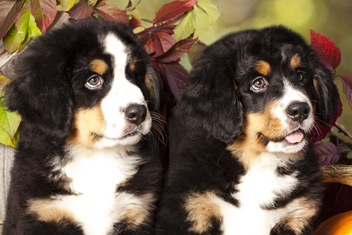 Membership of our friendly, approachable club is open to anyone interested in Bernese Mountain Dogs. 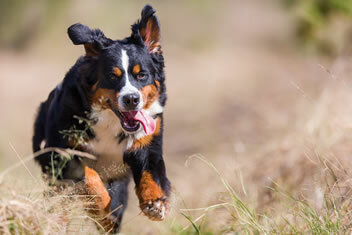 The Bernese Mountain Dog is one of a group of four Swiss working dogs known as Sennenhund. Bernese Mountain Dogs were originally used by the weavers of Bern as a draught dog, and also employed in herding sheep and cattle to and from the mountain pastures. 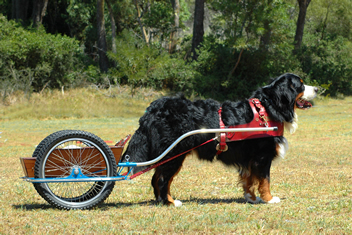 Modern Bernese Mountain Dogs are still occasionally harnessed to a light cart, which they enjoy pulling. 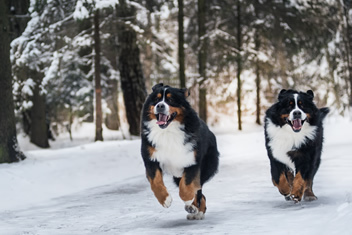 All Bernese carry the traditional Swiss colouring of black and tan with white markings. The breed name is taken from the canton of Bern where they can be found on the streets but especially in the rural areas. The Bernese Mountain Dog Club of Great Britain is the largest and the oldest of the six UK Kennel Club affiliated Bernese Mountain Dog Clubs. 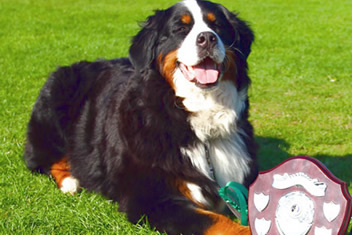 The Club is a member of both the Bernese Breed Council and the Bernese International Working Group, an International Bernese Health committee, and as such is able to be involved in all general British Bernese developments. Membership of the Club is open to anyone interested in Bernese, you don’t even need to own a Bernese or be actively involved in showing or breeding Bernese, pet owners and simple breed admirers are equally welcome, especially if you are hoping or waiting for your first puppy. We are a friendly, approachable club and if you visit one of our events you will find people happy to talk to you about their Bernese experience.